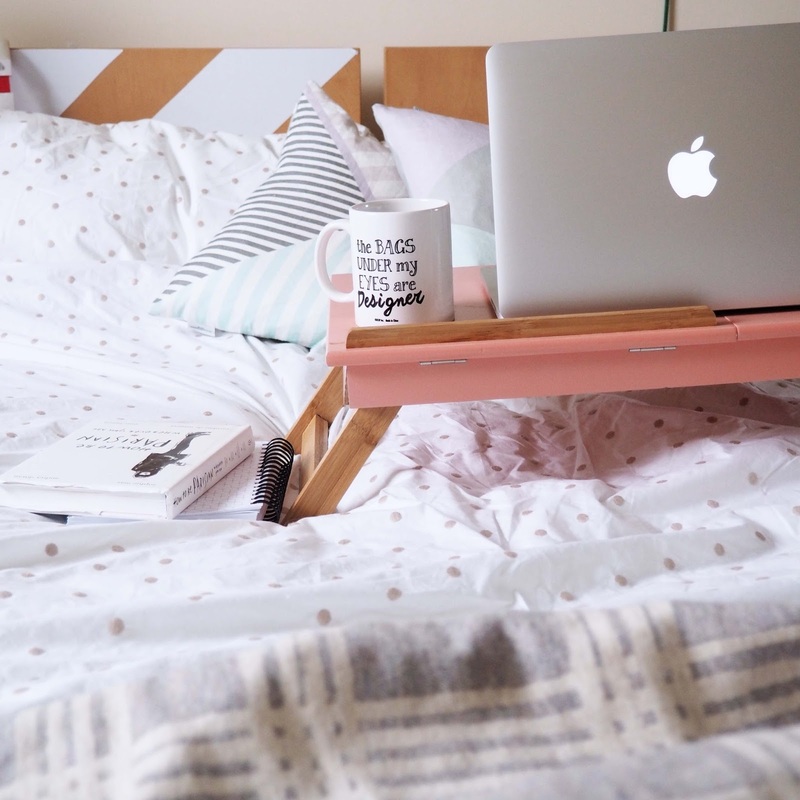 You now probably know that I love bedding! Who doesn’t? I remember being this girl who wanted always be out and about. Once you hit 30, something is changing and I longer want to be that girl who holds glass of wine every other night, now i rather hold nice book, keyboard or tv remote! It’s scary! The one thing I love best in spending the nights in is the cosy and crisps sheets!not just while I am ready to bed. 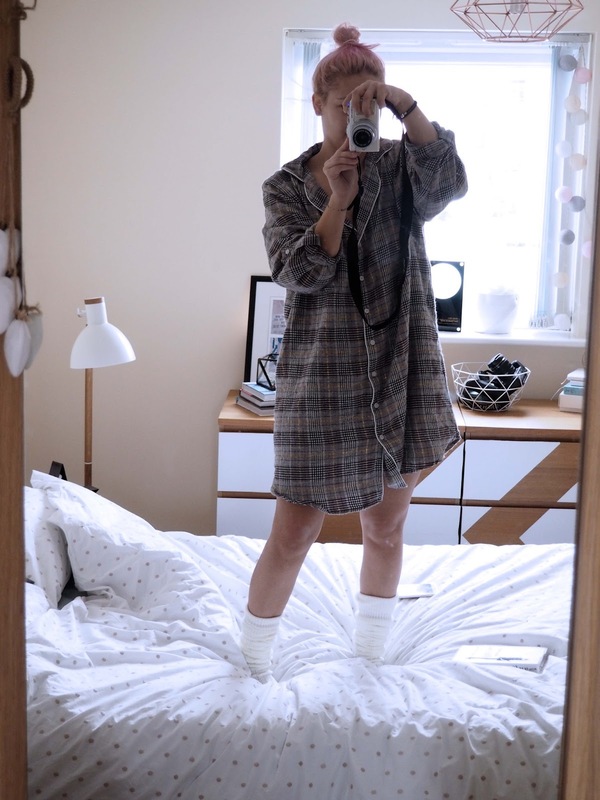 I like to drag my duvet to living room, wrap myself up and watch TV or blog! This is something that I dream of everyday, just to relax and keep warm. Especially now, where I got new duvet from IKEA, all I needed now is new duvet cover and new cushion! I remember my grandma cosy and crisps sheets. Every holiday I was staying at hers in small village. I remember that it drove me nuts, as my grandma’s duvet where made out of duck feathers and when I covered myself one parts, was running toward end. It’s so weird how it all changed now and how much I want that bedding back! Especially that these days, these duvets are made in quilt like patches so nothing ‘’runs’’ away. 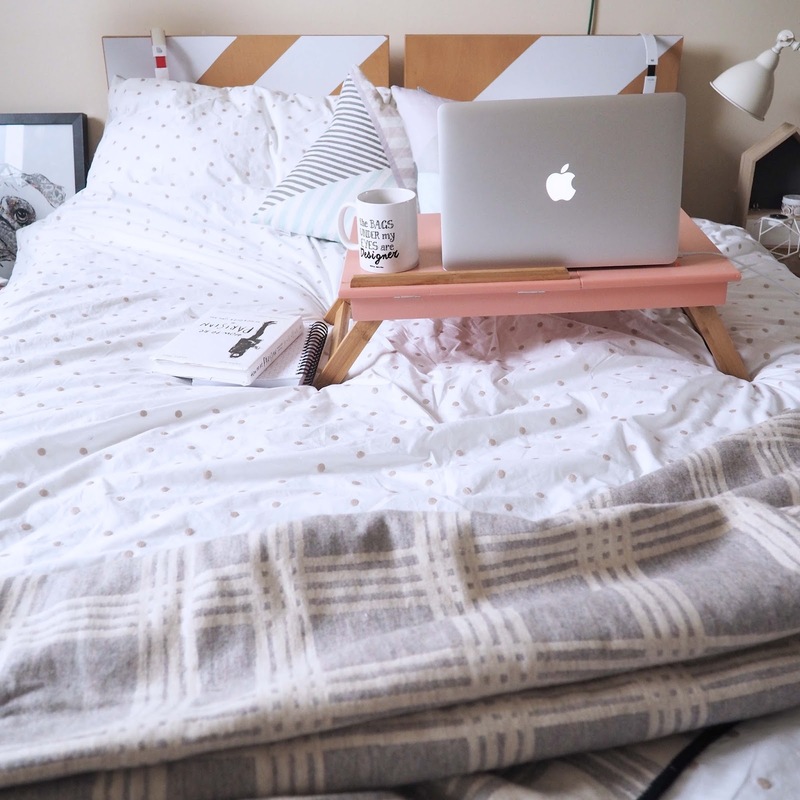 Here I have prepared for you 5 bedding hacks you all need to know! Count the threads! I never understood what on heck was with the thread count. I didn’t realised it would be such a simple thing like number of threads going horizontally and vertically within a 1 square inch. So, apparently the higher the number of threads the softer fabric will be but there are some other ways where brands are cheating a little, they increase the thread count but the quality of the fabric won’t change and won’t be any softer. just bear that in mind. It will be determined also by the type of fabric and thickens of the fibres. 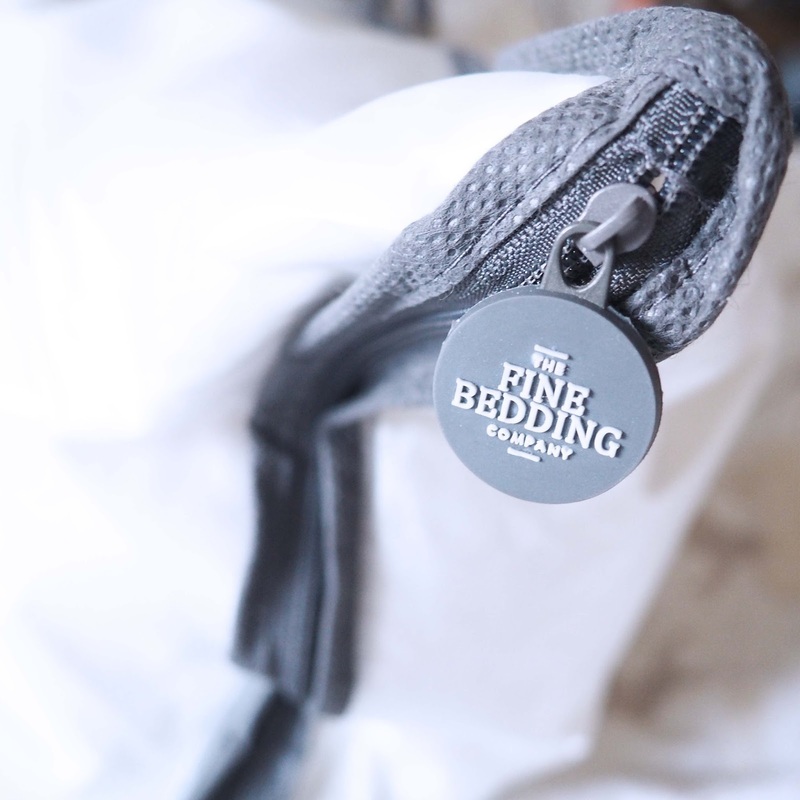 The perfect bedding will be between 200 to 280 of pure organic cotton, this will give you the grandma’s style crisp and soft sheets! Washing your bedding. 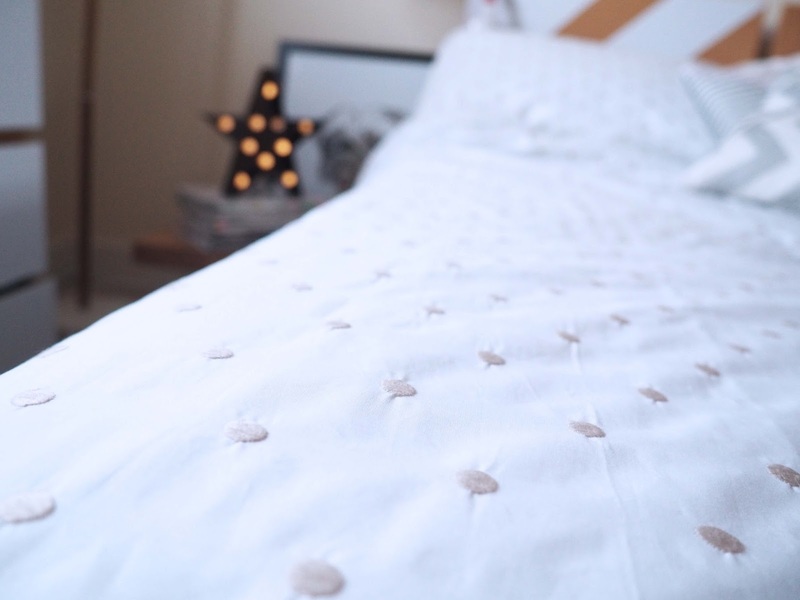 Ideally you wash your sheets every week, the longest you should leave is 2 weeks top, otherwise the amount of sweat, body oils and bacteria build up on your sheets and it;s not just gross but also if you had a bit of cold a week before it may be the reason why it didn’t go away yet! Many people follow the safety labels where its says 30 or 40 degrees. If you have synthetic sheets then yes, maybe..with cotton you can safely go 60degrees. Human grease (blurgh) will dissolve in temperature 60C or above and bacteria can be killed in 100C only! I wash all my cotton and linens, towels etc in 95C but I do that on my own responsibility. Drying. There a few mistakes I learned when I dried my sheets. 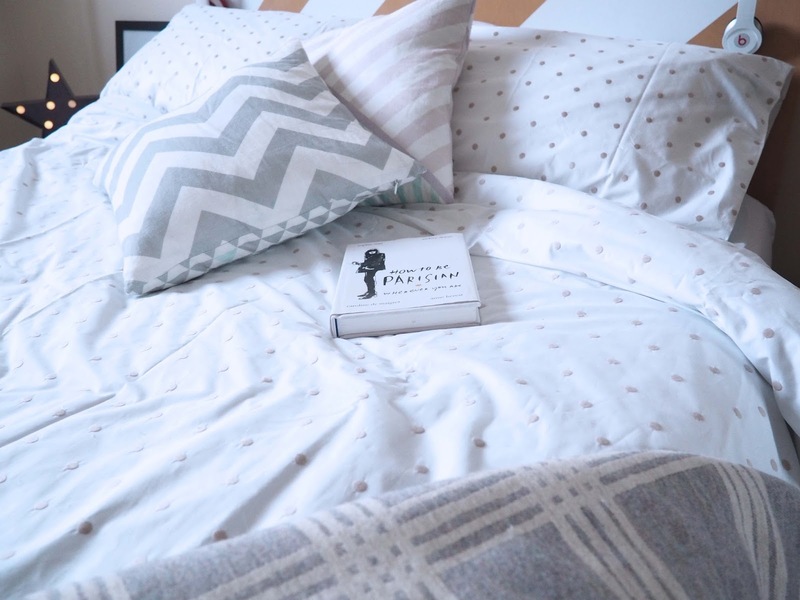 I have new bedding every Saturday and of course I want to be always prepared with fresh ones, but sometimes I just don’t have time and wash all in one day. If you wash your sheets in hot water like me make sure you use the cool air (use the synthetic option) to dry them. The caller the temperature, the less wrinkles you get. Don’t mix towels & sheets when drying. Towels absorb more water and will take longer than your bedding and you won’t get the right result. Also, remember to dry one set a time. It will give you more ‘’air’’ in the dryer and you will have less wrinkles and with good dryer you won’t even need to iron it! Style your bedding. Don’t just leave your bed with bedding on, it honestly takes 2 minutes to ‘’style’’ bed after wake up. Buy some stylish throw, get the cushions out. creating a nice ambience for your bedroom will honestly make the whole room look differently. Bed takes most of the space and it is the heart of each bedroom of course. Make it look good. You can check my post about bedroom makeover on budget or check these bedroom ideas from Homify. 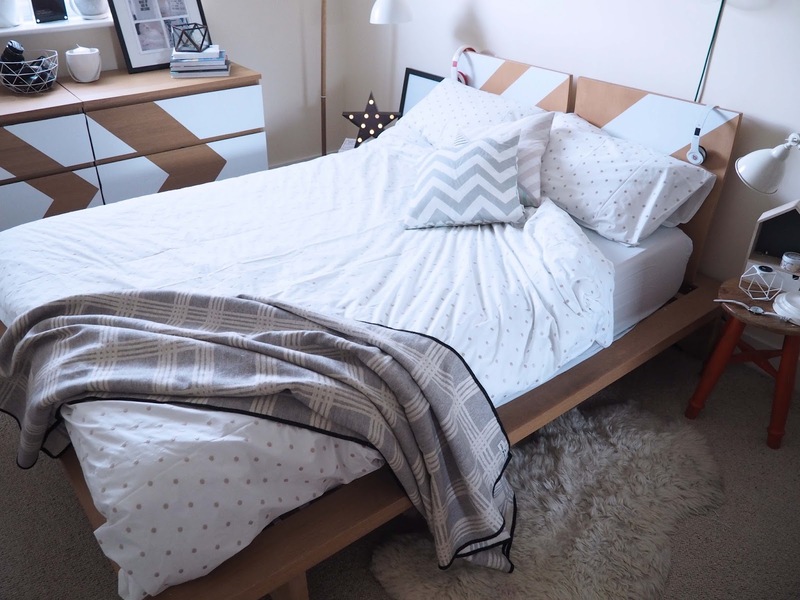 I have posted last week few images of my new bedding to Instagram and everyone was asking ‘’where it is from’’. 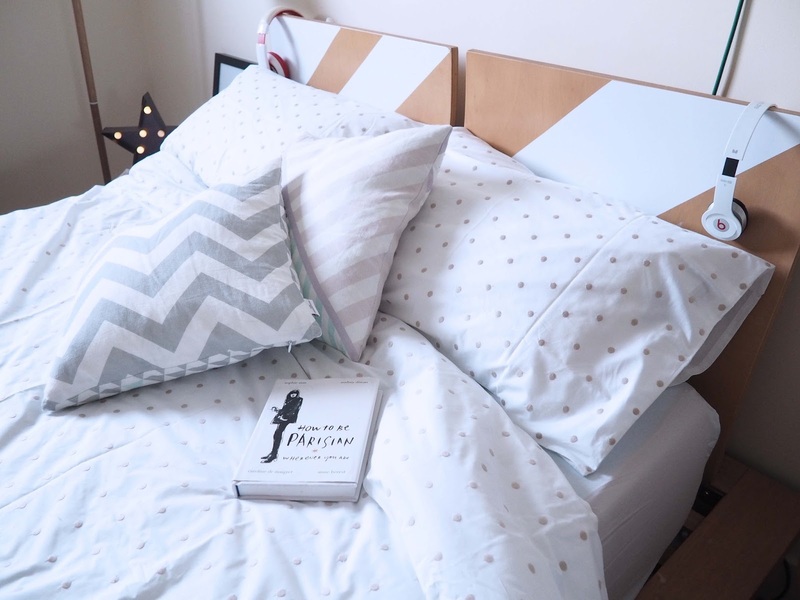 I was so pleased to hear that you loved my new dotsy duvet cover, so I am glad I can finally share it with you! 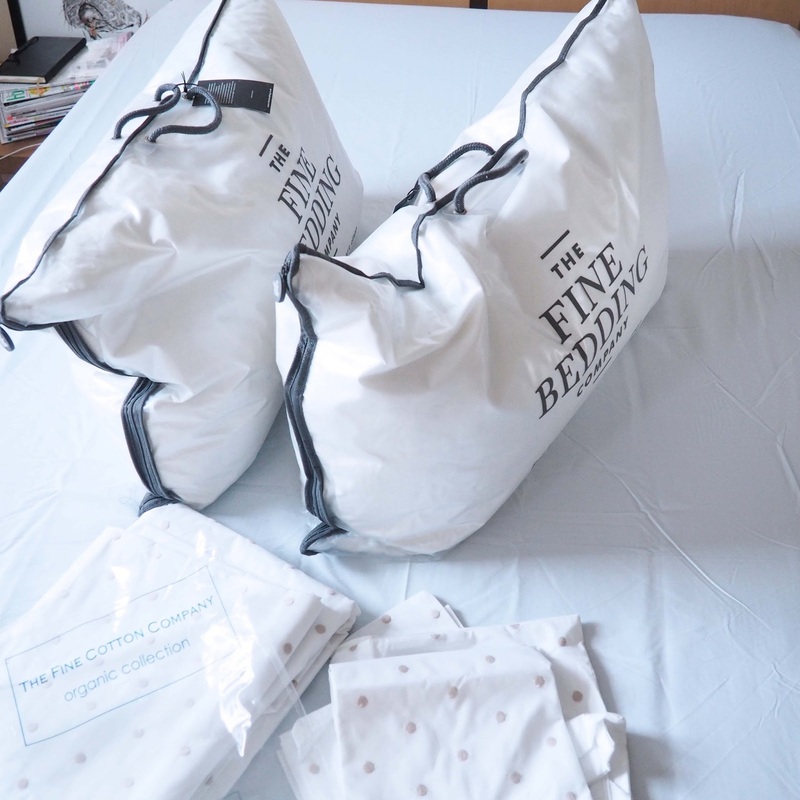 My lovely duvet cover and cushions was send to me by The Fine Cotton Company. When I was browsing through their website to find the one I wanted I was like a child in Disney store! They have so amazing products it’s unreal! The decision was so hard but finally I have chosen the Natural Spots Organic Cotton set and Goose Feather and Down 2 x Pillows. The design is simple but it will complement many interior styles! Dots will go with literally everything! Industrial, French, Skandi, Contemporary. you name it! 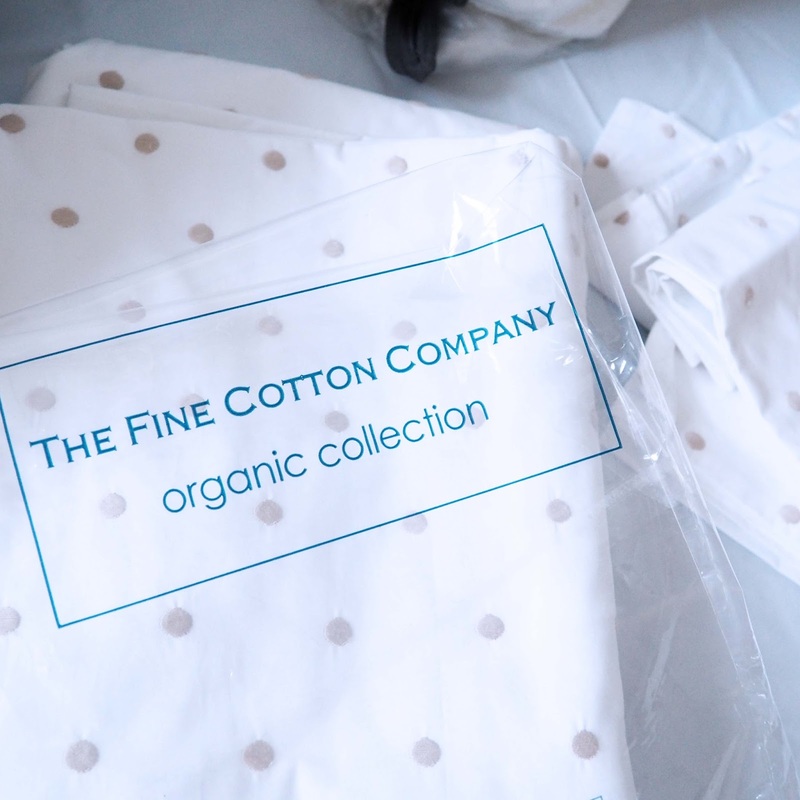 What is really amazing in this sheets, that these are made from 100% organic pure cotton. You can’t even describe the experience in words. I got back in time, I was again, that little girl in my grandma’s bedding, after cartoons and bath- ready to sleep. I was waiting for the moment to find the perfect sheets for long time, and finally I did! The covers are also made with 200 thread count cotton. Just perfect! What made the experience even more amazing, was the goose feather pillows! I was heaving foam pillows flat as pancakes for past few years and these are just hell of new experience! 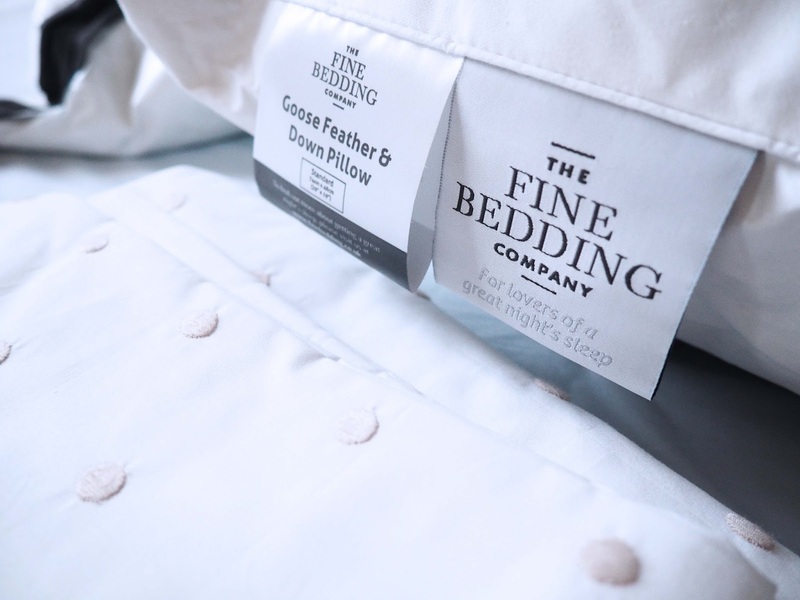 What I love in these goose feather pillows is that it moulds into the shape of my head, so I can sleep very comfortably and wake up fresh without neck pain! The fabric cover is also made with 200 threads count cotton. You probably read my review of Eve Mattress now, so you now I have best mattress ever, now combining all 3 is just sleep heaven! Good night sleep is something I value the most! I spend so many hours working in my day job and blog so when it comes to sleep, I just want to really recharge my batteries and have a peaceful sleep! Thanks to The Fine Cotton Company, this could happen to me! 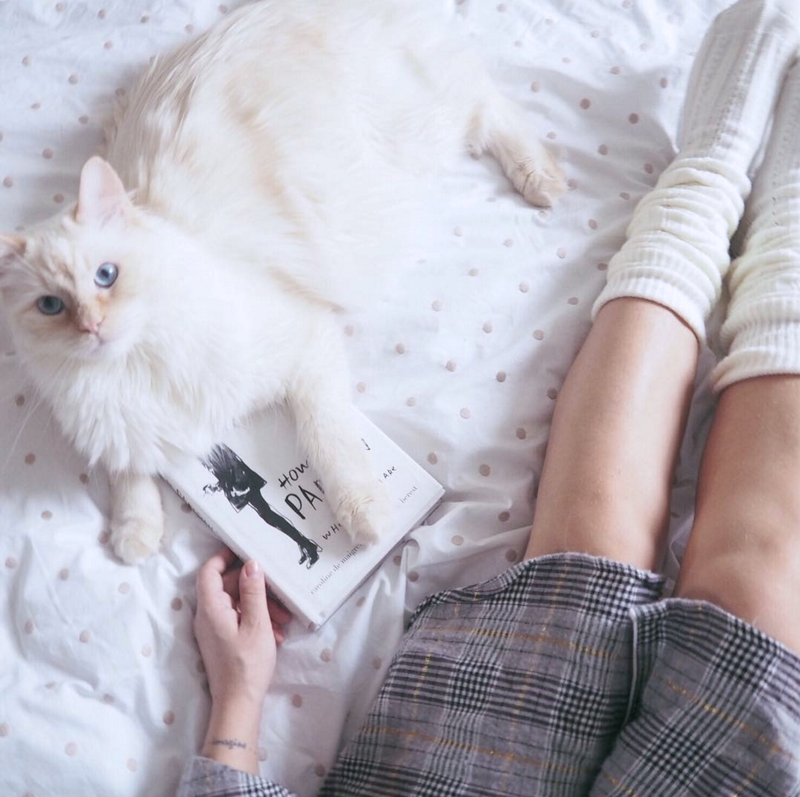 This company offers not only stylish and beautiful designed sheets but also high quality products that will last you for many years, not just 3 washes! In this matter, is the quality over quantity! Good design is for life, so it would be very smart move to invest in a product that you can enjoy for longer! Use Anna16 code for 10% discount on the website! It's a gorgeous set first off, and secondly I will be putting my duvet's inside the pillow cases at the next wash. What a great idea! there is no better feeling than getting into fresh bedsheets .. 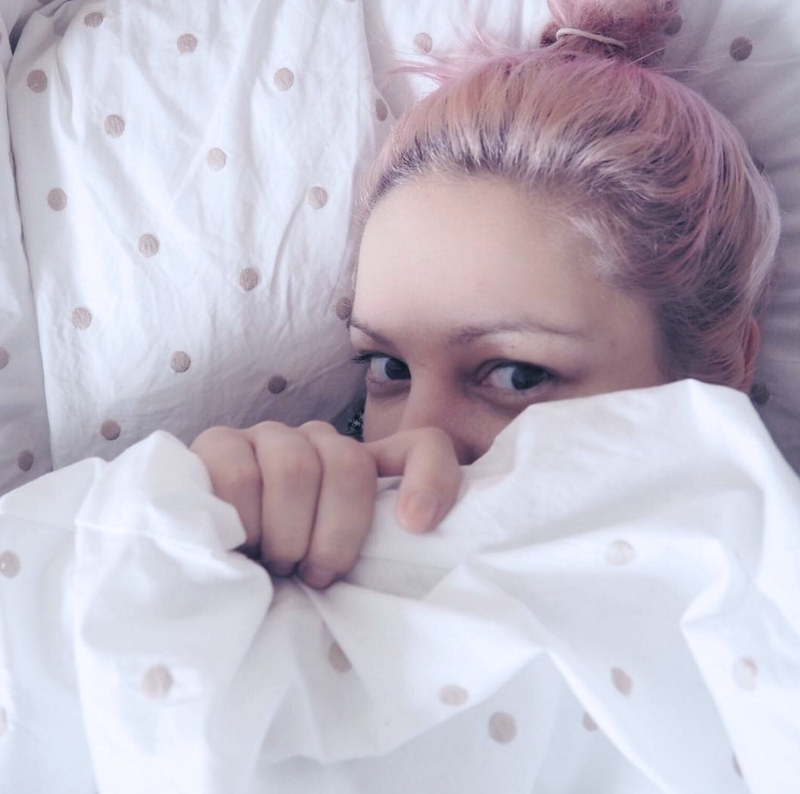 I also can never leave me bed bare – it has to have two many pillows/throws! Also .. I am really weird I have to iron my bedsheets .. My biggest pet peeve is not having ironed sheets.. I spend a good half an hour ironing then hehe!! Also – I adore the sheets you featured.. They are so classic but so gorgeous. I'm looking for new bedding at the moment, I'll check this company out thank you! 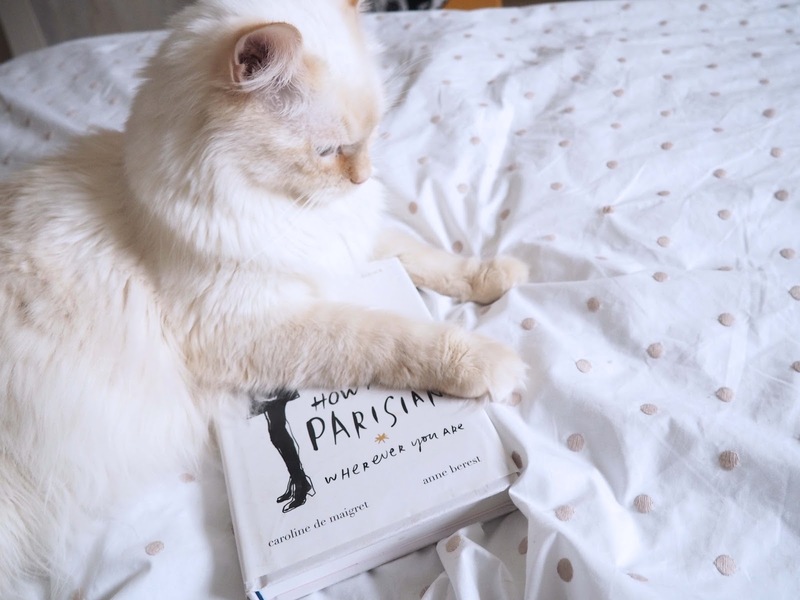 And the cat is gorgeous too! That is some seriously gorgeous bedding! I need to get me some of that! 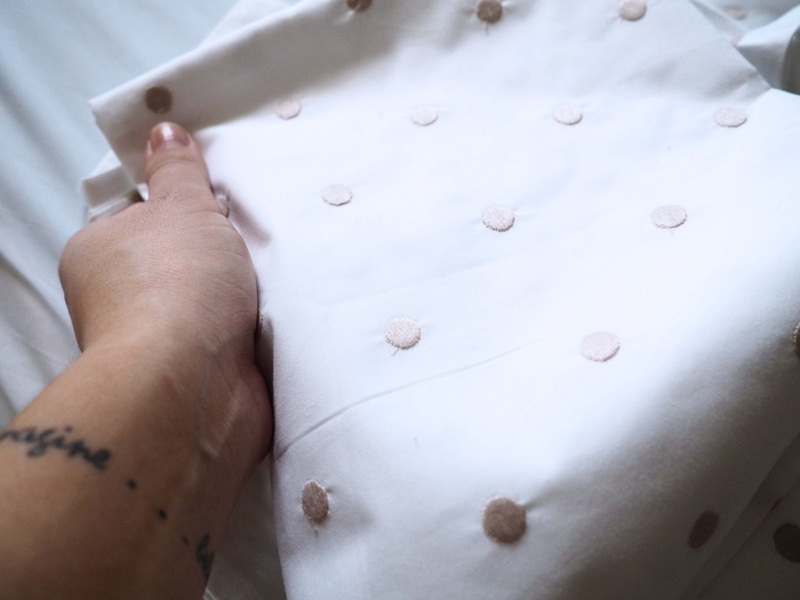 I never knew to dry on cool after a hot wash to minimise creasing and I love the tip about storing the bedding inside a pillow case. Love the sheets! Some really good tips here! 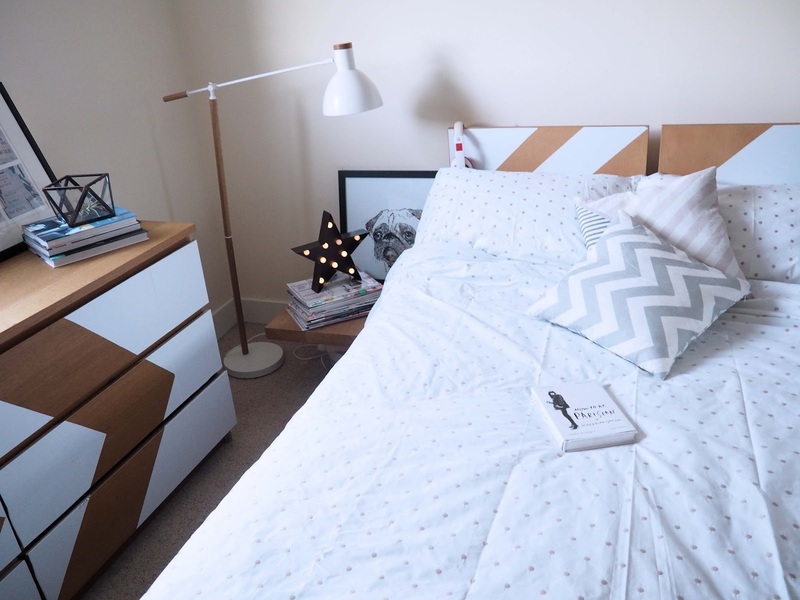 I never thought I would become obsessed with bedding, and then my partner and I moved in together! Is there anything better than climbing into freshly washed, high quality sheets?! Lovely post, some great tips too! Great tips! 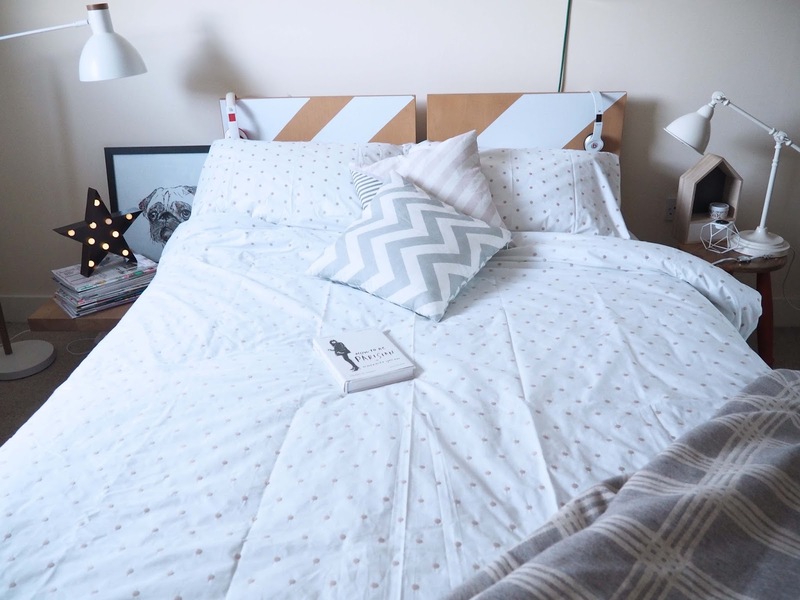 I'm all for a high thread count- I persuaded my partner to invest in some quality sheets when we moved in together and he never looked back, no more cheap sheets! That bedding is gorgeous. 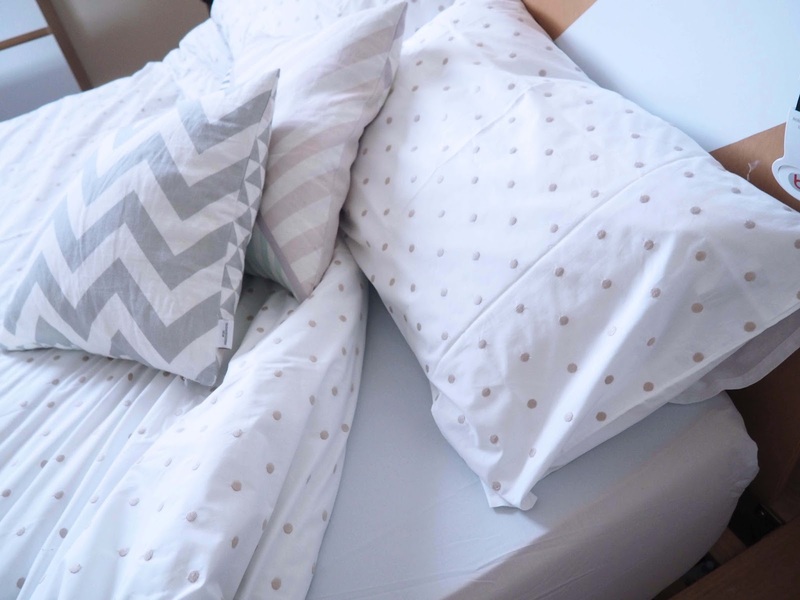 I love getting into crispy clean sheets, there's no better feeling, with the sheets tucked in really tight so you feel so snug and warm, it's blissful. I'm a huge fan of bright and white bedding too, and making the room feel very hotel-esq. I don't have any TV's or anything in my room, no distractions, so it really is the perfect place to unwind and relax after a long day. That bedding just looks divine, top quality and very very pretty, sometimes the simplest of designs makes the biggest impact. I'm forever dressing up my bed – the Mr doesn't understand why but it's all part of the ritual to me!